Engineers at the Perceptual Robotics Laboratory in Italy have built the “Body Extender,” a robot exoskeleton that gives users the ability to lift up to 110 pounds in each extended hand. And (hopefully) battle an alien queen. 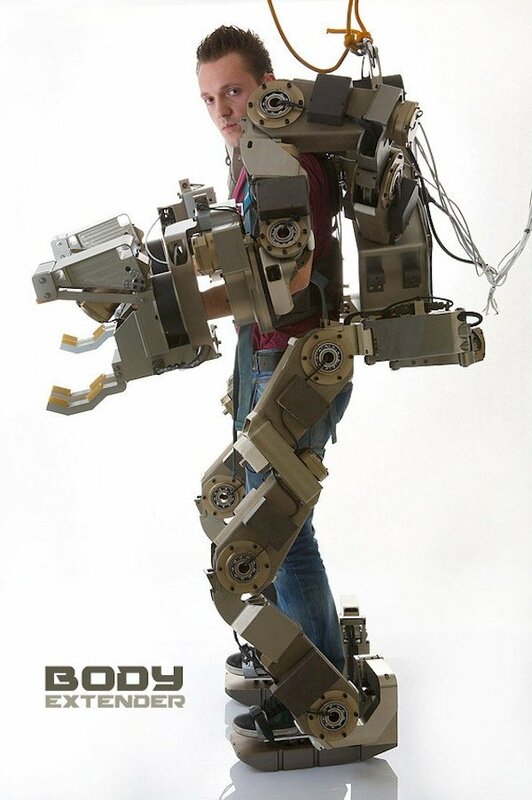 The exoskeleton is very flexible and able to follow the user’s movements. Powered by an electric motor, the Body Extender has 22 degrees of freedom and its oversized hands can grip, twist or pull objects. It goes without saying that we want one of these.